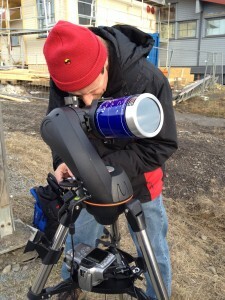 ESA’s Venus Express project scientist Håkan Svedhem observes the transit of Venus from Svalbard as Venus Express – the only spacecraft orbiting Venus at the moment – prepares to take its solar occultation measurements. During these measurements sunlight will filter through Venus’ atmosphere, revealing the concentration of different gas molecules at different altitudes. This technique is also used to probe the atmospheres of planets outside of our Solar System – exoplanets – to determine their potential habitability. Simultaneous ground-based measurements will be compared with Venus Express data to test techniques used to characterise rocky Earth-sized planets. 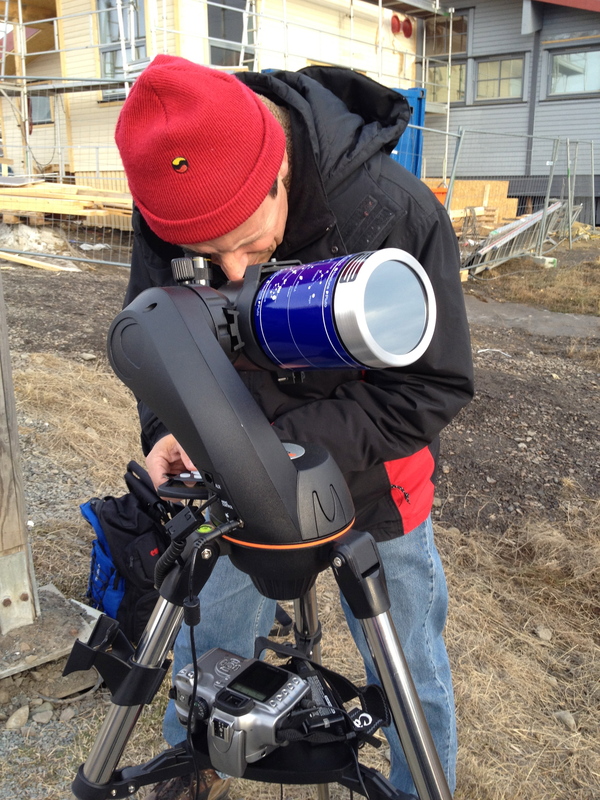 This entry was posted in Transit of Venus and tagged Exoplanets, Svalbard, Venus, Venus Express, Venus transit 2012. Bookmark the permalink.